UAVenture Capital has launched a second venture capital fund designed specifically to help finance the commercialization of emerging and disruptive technologies formulated by UA researchers, faculty and students.  The founders of UAVenture Capital have announced the launch of a new venture capital fund designed to support the commercialization of University of Arizona science, services and intellectual property. The announcement was made by UA President Robert C. Robbins and Fletcher McCusker, co-founder of UAVenture Capital, the business driver behind the UA College of Pharmacy startup SinfoníaRx Inc.
“The activity and robust nature of UA innovation and invention requires significant startup capital, thus the reason for the second fund,” said McCusker, who also founded the public company Providence Service Corp. (Nasdaq: PRSC). UAVC is now in the process of raising money toward its target of $100 million for the second fund. With the help of Tech Launch Arizona – the UA office that commercializes inventions stemming from research – SinfoníaRx was sold to Tabula Rasa HealthCare in September 2017. McCusker and fund principals Larry M. Hecker and Michael N. Deitch used proceeds from that sale to reinvest in the community, starting the first UAVC fund in 2018. That fund focused its investments on startups bringing to market UA science, technology, services and intellectual property originating from faculty, students, alumni and affiliates. Companies that received funding included several startups founded on UA-owned inventions, including Codelucida, Regulonix and FreeFall, as well as Post.Bid.Shipand Qwick, UA-associated companies launched by students. Tech Launch Arizona Assistant Vice President Doug Hockstad noted that the starting of a second fund amplifies opportunities for UA entrepreneurs.